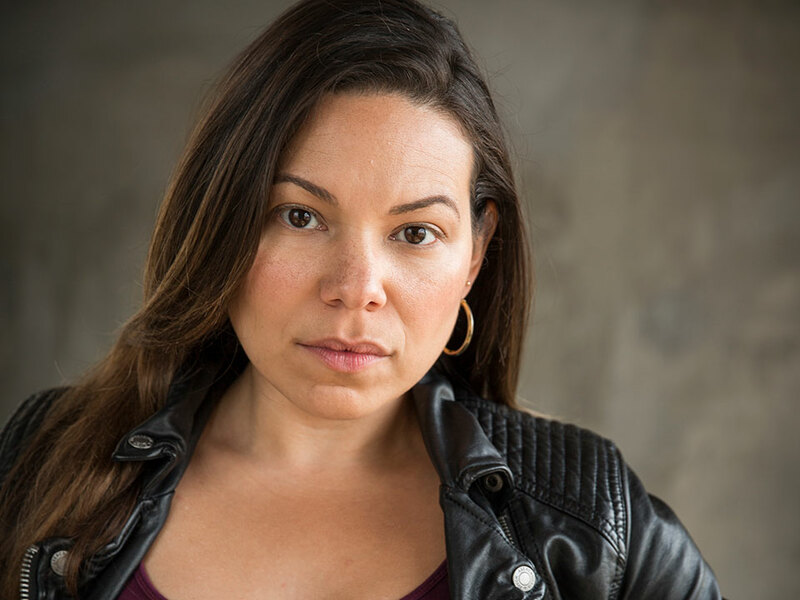 Check out our interview with talented actress Gloria Garayua who is best know for her recurring work on “Grey’s Anatomy” and “How to Get Away With Murder” with Viola Davis. 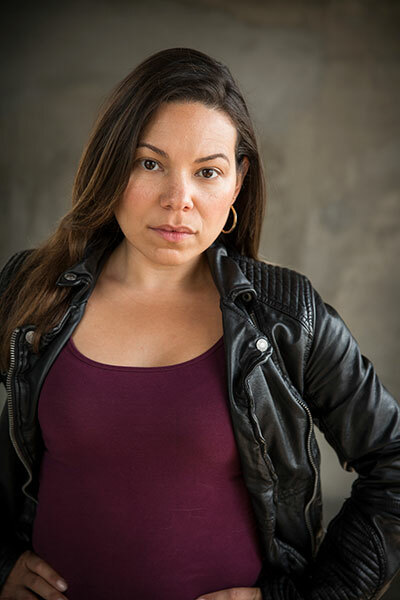 She played opposite Rosie Perez as her sister on “Bounty Hunters” and is a series regular on the highly anticipated new show “Reckoning”. Get up at 6am, self-care including mediation and workout, light housework, computer work, coach several students, auditions or audition preparation, homecooked meals, evening events such as screenings, or other pr events. Bed by 11pm if possible. I like to sleep. My manager and agent. It’s incredible how much they believe in me and push to get me into certain casting rooms. They watch and critique my self-tapes, spend time discussing certain topics that matter to my career. They keep me on my toes. It’s funny because I always thought I’d be a doctor, but when it came time to pick a major in college, I went with what I was good at and knew I’d enjoy forever. I studied Acting at Long Island University, C.W. Post in Brookville, Long Island. After graduation, I went on an audition hunt. I saw auditioning as my job until an actual booking came in. I was constantly hustling to find work. Before I graduated, all I ever did was theatre, including musical theatre. After graduation, I ventured into some on-camera work. But it wasn’t until I moved to LA, that I focused more on tv and film. Even here in LA, I still did theatre. I have taken a short break from it because I feel as if I currently have some traction with my tv and film life. I really want to explore that for now. My first acting role ever was playing an angel in my kindergarten school play. My first acting role in college was playing multiple characters in a comedic farce called “On The Razzle” by Tom Stoppard. My first acting role after college was playing a member of the ensemble in the musical “Damn Yankees” produced by the Paul Robeson theater in Brooklyn, New York. My first acting job when I arrived in Los Angeles was playing a guest star role on the then hit ABC drama “NYPD Blue”. Yes, my first acting class ever was through the drama club in my high school. My first professional acting classes did not come until I majored in acting in college. After I graduated, I realized how important it was to keep my acting muscles exercised so I asked a few friends who they took acting classes with, and I spent some time auditing classes in New York City until I found the late Ed Kovens who I adored as a teacher! Before he passed away, Ed told me who I should study with when I moved to Los Angeles. And that was Peter Henry Schroeder who I studied with for several years when I first moved to Los Angeles. Throughout my time here in Los Angeles, I have studied with several teachers on and off, whenever I can. At the moment, I am currently not in an adult acting class, but training is something that I strongly believe in and I know that I will again return to acting class in the future. The best part of being an actress is getting to play make-believe! The joy of that never goes away. The worst part of being an actress is the waiting for a booking. This year, I feel like I finally have a grip on that balance. I realized that for me, the key is self-care. In the past, I have bent over backwards to accommodate others. This year, I’m waking up earlier to take care of personal needs, which allows me the time during the day to fullfill my professional duties. I often have evening commitments, so I try to finish up my responsibilities for the day before heading out. It doesn’t always work out that way, but I do try. At the end of the day, it really just has to do with prioritizing what’s important. No day is the same for me, so even though having a routine is healthy, I stay flexible knowing that some days are just going to be more stressful than others. The best advice that I was ever given was to stay in school. When I was a junior in college, I felt like I was just one out of a few students who really took Acting seriously. I was not a drinker nor did I do drugs, so all of my attention went to academics and excelling in the drama department. There was a point where I wanted to leave school and just start auditioning professionally, but my college mentor and dear friend until this day told me that if I left, I would never come back because that is what happens when one gets out there into the workforce. He was right. All I had to do was hang in there for one more year. I did and I don’t regret it. College was where I grew up. It’s where I matured. I met so many interesting people, including people from other countries. This expanded my horizons. Being away from home also helped me to become my own person. And now with a college degree under my belt in acting, I pursue my career with more confidence than I would if I did not have those years in college. I read the material over and over again until I feel like I’ve made an emotional connection. Then the choices flow naturally from there. Once I feel I have a good grip on who this character is and what I say in the scene, I start practicing in front of a camera. I run the scene a multitude of ways until I’ve explored several options. Then I watch them back. It is so valuable to work in front of the medium we work in: the camera. Now tell us about your recurring work on Grey’s Anatomy and How to Get Away With Murder? I played intern Graciella Guzman in three seasons of Grey’s Anatomy: seasons four, five, and six. I’m so grateful for the experience I had on that show, the directors I worked with, and all of the actors that I met. It took me many years of auditioning for that same casting office before I was finally hired again. I really appreciated that they made me earn my way back into a Shonda Rhimes production. They don’t just hand out these roles in Hollywood like some people think. I auditioned fair and square like everyone else for my role in “How To Get Away With Murder”. I loved working on that show! Viola Davis is so nice and so cool! She would talk to me in between takes during our scenes just about life stuff, and had no problem getting back into character when they called action. It was like attending an acting class and working at the same time! It was marvelous! I’ve guest starred in many shows such as “Desperate Housewives”, “Cougartown”, “The Good Doctor”, “Swat”, “Shameless” “Rizzoli and Isles”, “NCIS LA”, “American Housewife”, and more. I’ve never played a love interest, and because of that, I would really like to take one on. I’m not your stereotypical Hollywood leading lady. But I have become good at what I do over the years, and I’m finally comfortable in my own skin to take on leading lady roles now. I look forward to the day when I can work on a romantic comedy. I also have a thing for horror movies and would love to work on one as well! Which role has been the most challenging and which one your favorite? My most challenging role to date has been playing Rosie Perez‘s sister in a British series called “Bounty Hunters”. I booked the role from a self tape but we did not shoot it until months later. By the time I arrived on set, I realized that I had a different interpretation of the character and the tone of the show in my head then what I was seeing being filmed. It messed with me a bit. I had to change my perspective of things. The writing and directing team on that show was fantastic. They let me ask questions until I finally felt I knew what to do with the role. At the end of the day, I’m very proud of what got on tape. My favorite character until this day remains to be when I played opposite Stanley Tucci in a CBS pilot many years ago. The pilot was picked up, but for some reason only three episodes aired. I was in the pilot episode, so I did make it on TV, thank goodness! I loved seeing myself working with Stanley Tucci because I had such a huge crush on him at the time! I played a blind woman who got to touch his face! It was like living the dream! What is next for Gloria Garayua in 2019? I don’t know, but I feel like a major shift is about to happen in my career. I feel stronger than ever to take on a meaty roll. It’s very possible that the series that I worked on last year in Australia may get picked up for a season two. If it does, I would love to take that on. Not only did I enjoy playing the character I played as a badass detective, but I also loved Australia! In the four months that we shot, I flew away on the weekends when we were off to explore the country, and it’s beautiful! I feel like that changes all the time with me. It depends on what I’m watching and how moved I am by the actors. At the moment, I’m really digging Elisabeth Moss. Her work in “Handmaid’s Tale”is exquisite! She’s so raw and honest, a true inspiration to help me with my own work! Lip balm, a water bottle, and my phone. Haha, well, I’m Puerto Rican so reggaeton and salsa rule my speakers. But I also love pop. Sleeping in to the sound of rain outside my window. I would do my yoga workout but skip my cardio or strength training and just allow myself a beautiful big breakfast! Followed by seeing friends, maybe having a drink, and cozying up on my couch at the end of the night to watch a movie. If I don’t have much time, I would love to just sit down and watch a few episodes of a comedy like “Arrested Development” or “Episodes”. But if I have time to really get involved with a series, I will always choose dramas such as, “Ozark”, “Jack Ryan”, “Downton Abbey”, “Sense 8”, “Unreal” and so many others. Married with a kid and the lead of a tv comedy! Yes, “Free The Slaves” which is an international organization meant to bring awareness to slavery around the world. “Let The Animals Live” which is an organization meant to help distressed animals, rehabilitate them, and find them adoptive homes. Quote: “I focus on my life‘s work and allow others to do what is right for them.” I don’t remember where I heard this affirmation but I love it because it reminds me to stay on my path and not allow myself to be distracted by others and what their path is. Holiday Destination: Anywhere warm! I have had plenty of cold holidays both in Chicago and in New York City. Once I discovered that I can choose the beach over snow, my life changed! I have spent the holidays in Chile, Uruguay, Argentina, Costa Rica, and Hawaii in the past. Maybe this year I can try a Caribbean island like Puerto Rico! Sports Team: N/A. I’m not a sporty person. Although I do enjoy seeing basketball or baseball live!